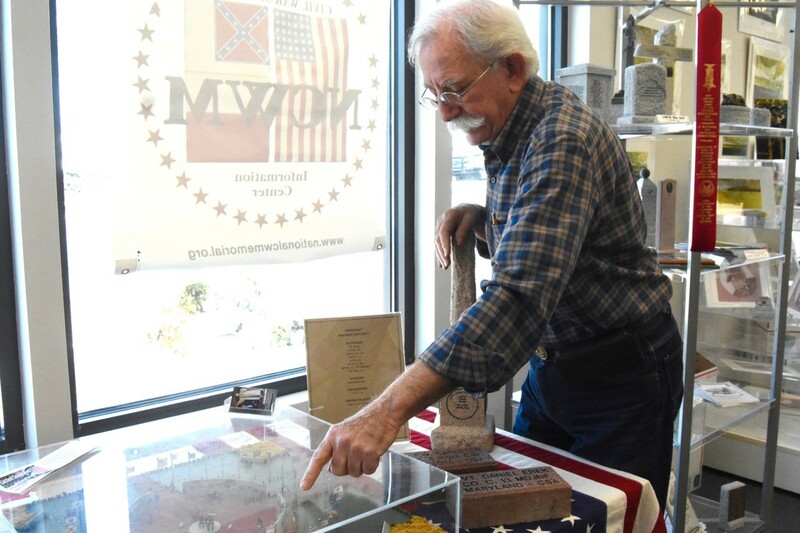 GETTYSBURG, Pennsylvania — After 21 years of plotting and planning, Gary Casteel may be getting closer to realizing his dream: A National Civil War Memorial near Gettysburg. 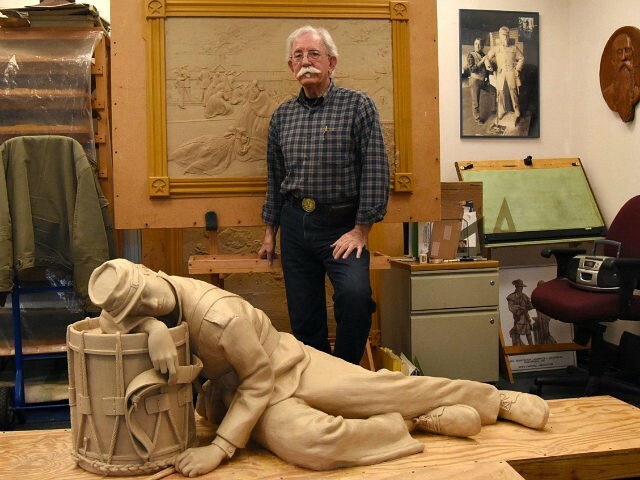 Aside from the fact that there is no national monument dedicated to the Civil War, which took place from 1861 to 1865, Casteel said his work as an artist, love of history and goal of accurately telling the story of the conflict that took the lives of 620,000 Confederate and Union soldiers and ended slavery, continues to motivate him. The latest development could now make the memorial a reality. A landowner in Taneytown, Maryland — about 11 miles from Gettysburg — has expressed interest in donating the five acres needed for it, and the majority of officials in the small town, including the mayor and most of the city council, welcome the idea. Some two million people a year visit Gettysburg, and Casteel and the Taneyville City Council hope the memorial will attract some of those tourists given its proximity to Gettysburg and its historical significance as Union Army General George Meade’s headquarters during the Civil War. Plans for the memorial are impressive, including all of portraits and sculptures that Casteel is willing to donate. The circular memorial will feature ten-foot-high granite walls, with portraits of 16 civilians who impacted the war and its aftermath on the outside. Inside, there will be 16 portraits of military figures in the war, and the interior walls will also feature 20 “event tablets” highlighting key moments in the war. Some of the civilians include Abraham Lincoln, Frederick Douglass, Clara Barton, Harriet Tubman, Walt Whitman, and Jefferson Davis. Military leaders include the two top Civil War generals — Robert E. Lee and Ulysses S. Grant — Gen. Stonewall Jackson, Gen. George Meade, and Gen. P.T.G. Beauregard. The “events” panels will include highlights of the war, including the first gunfire of the war at Fort Sumter, South Carolina; Lincoln issuing the Emancipation Declaration; the Battles of Antietam and Gettysburg; Sherman’s march to sea; and Civil War prisoners. 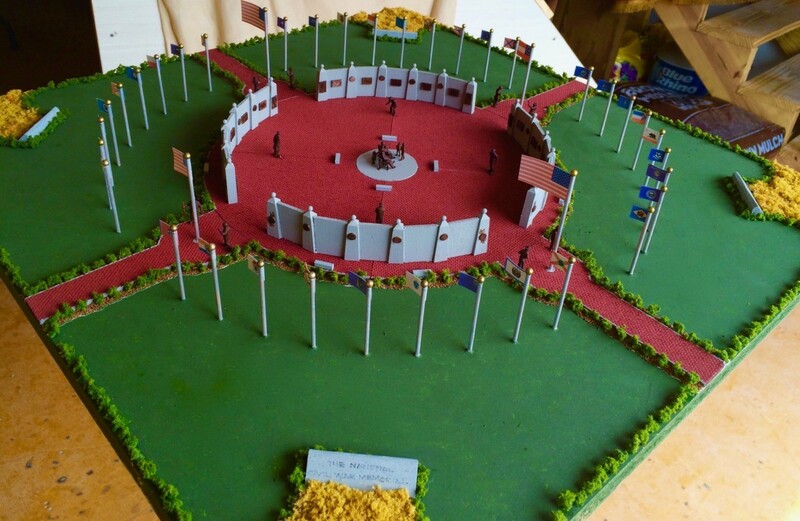 The interior of the outdoor memorial would also feature the flags of states and territories from the Civil War period. But despite the obvious educational and historical significance this memorial could have, it is not without controversy to the people who now find anything involving the confederacy offensive and want to erase that and other historical facts about the Civil War from the public square. One of those facts includes Lincoln’s assassin, John Wilkes Booth — a Confederate sympathizer who killed the president less than a week after Robert E. Lee’s surrender on April 9, 1865. Lincoln died on April 15, 1865, one day after he was shot. A Washington Post columnist panned the memorial and interviewed the lone Taneytown city council member who was offended about Booth’s inclusion. Casteel is quick to set the record straight, including that the columnist falsely claims that he wants to erect a Confederate memorial and that he organized a Confederate rally a few years ago in Gettysburg. 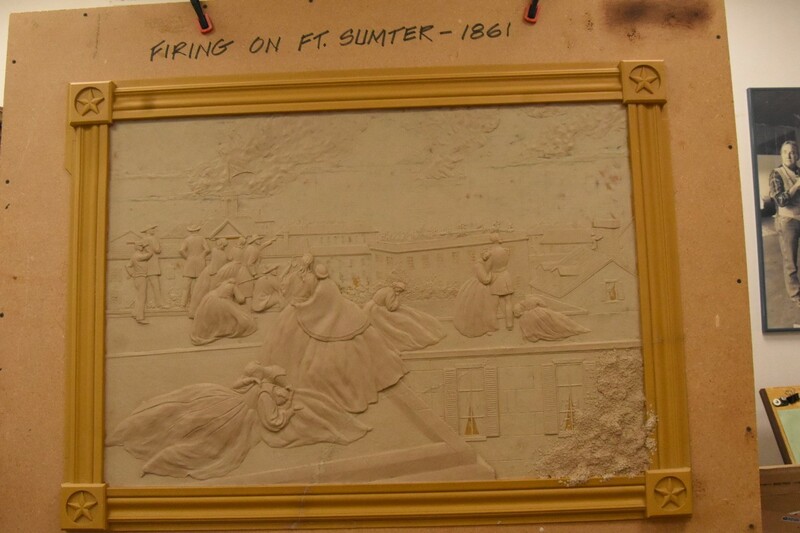 One of sculptor Gary Casteel’s events panels that would be part of his proposed National Civil War Memorial. (Penny Starr/Breitbart News). “Did I organize that? No” Casteel said, telling Breitbart News that he attended an event as part of nationwide commemoration planned by Sons of Confederate Veterans. Casteel said he also is a member of Sons of Union Veterans of the Civil War because he has ancestors who fought on both sides. “It’s nothing more than a day to respect and remember your ancestors,” Casteel said. Moreover, Booth’s inclusion and all pieces in the memorial were selected after Casteel enlisted the help of 30 top U.S. historians to pick the 16 civilians and 16 military leaders to include, including Civil War historian Jim McPherson and military and Civil War historian Ed Bearss. Casteel said his goal is not to memorialize Booth or the Confederate Army. “I wish to memorialize the history,” Casteel said. Taneytown Councilman Joe Vigliotti agrees. “This memorial, in my mind, would help us to remember that,” Vigliotti said. Casteel, 72, said he hopes to know whether a land deal can be struck in the coming months and that the memorial can be completed over a two- to four-year time frame. He said one-third of the memorial pieces are already complete. The day the memorial opens would mark a major milestone for Casteel, who grew up in West Virginia in a coal mining family and is the sole male member who did not work underground. “I love history, and I love art, and over the years, I put those two together,” Casteel said.